How Can We Each Help Our Veterans? 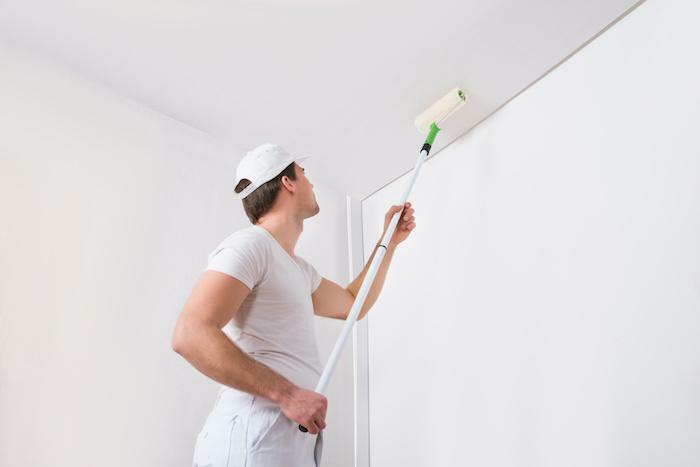 You can help a veteran and their family in many ways, including helping with household tasks such as painting a wall for them. Many veterans have disabilities and are no longer able to do work around their homes. Read on for some more ways YOU can help. Helping veterans is the responsibility of everyone, as they are an essential part of our society. They have served our country well, and, being responsible citizens, we have a service of care to help them as much as we can. They have endured difficult times while serving in the armed forces and many of them ended their service with disabilities. Providing life assistance for veterans contributes to the betterment of the country, and every citizen should think this way. You can help veterans individually or you can join any charity program that is for helping veterans. “Cell phones for soldiers” is a great organization that ensures cost-free communication for dozens of military families and veterans. You can help this particular organization financially. This organization does not provide phones to soldiers; in fact, it focuses on refurbishing donated phones and utilizes the proceeds for providing financial help to every veteran and buying calling cards for troops. “Homes for our troops” is an organization that builds homes for injured veterans. Consider donating money to this charity and making the lives of injured veterans easier. The organization provides professional labor as well as building materials to veterans. To date it has erected more than 160 homes for injured veterans, so donate as much as you can to help. Support a community event like “Stand Down” where homeless veterans get warm meals, clean clothes, medical care and legal as well as emotional counseling. The “National Coalition for Homeless Veterans” contributes to organizing this event, and you can donate both money and time by volunteering for the event. To live a quality life everyone needs to have a job. Assisting veterans in this regard by using your network to get them jobs, so they can live a life free from financial issues. Help them compile resumes that showcase their transferable experience, and to upload them to job-related websites. It is a fact that some veterans do not have the technical skills essential to be successful in this competitive corporate sector, so they can use all the help they can get. It is good to drive veterans to their appointments, and you can find organizations that arrange these services. Groups like DAV Transportation Network coordinate with various volunteers for driving veterans to all kinds of medical appointments. This helps veterans get the treatment they need on time, which enables them to remain healthy. Consider making veterans' lives easier by driving them to their appointments. Every veteran has experienced different challenges during their military service, and these have a residual emotional effect. Often, the result is a lack of positivity, so taking time out to bring veterans to motivational workshops can help them overcome the negative results of their time in service. For any veterans unable to get out and attend workshops, there are online motivational videos they can watch to get some benefit. The care and responsibility of having a pet is well known to bring positivity to the lives of people, which is an important focus for veterans. If you know of anyone who is struggling with depression or loneliness, consider getting them a pet cat or dog to spend their time with. This helps them to feel needed and ensures they are not always alone. Check first to determine whether the veteran you care about would like a pet--you don't want the pet to end up back in rescue. The aforementioned are some useful ways of helping veterans in our country. Being responsible citizens, we should help them as much as we can because they have served the country and because of them there is a peace in the country. Therefore, you should always be ready to help veterans.